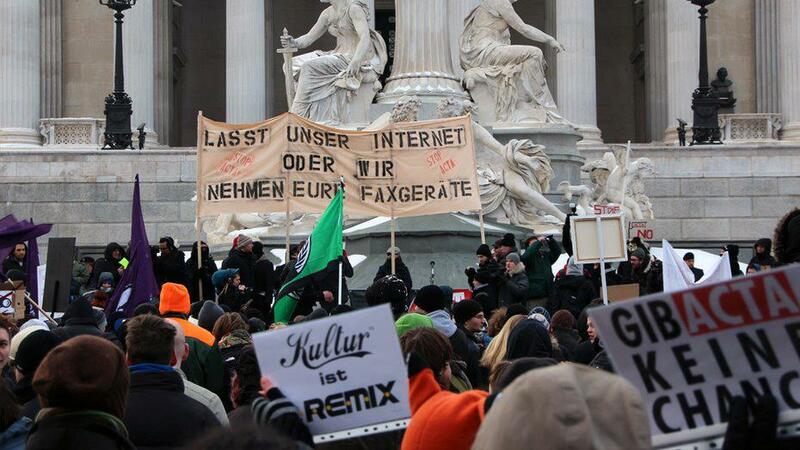 On the 11th of February People all over the world demonstrated against ACTA . We designed a banner referring to a banner of the swedish pirate bay protestors of 2006. This time our banner and the masks referred to those of the protestors in Berlin. On the 31st of March, a day before data retention became legal in Austria, we decided to produce another movie, which is now already in post-production.